Overview of what the activity log is and where to find it. 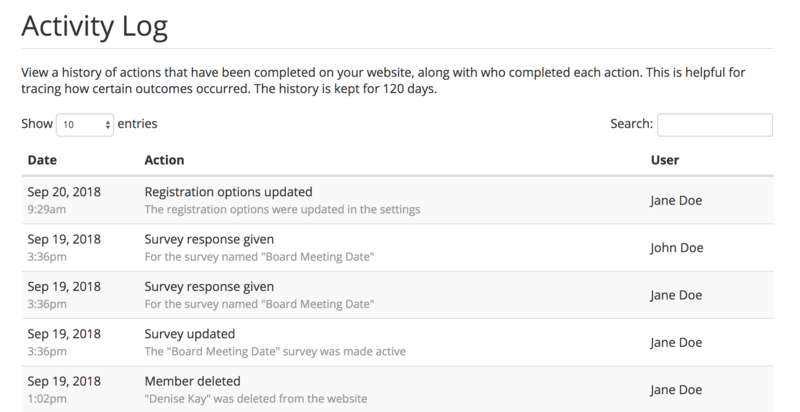 The activity log, located in the Admin Control Panel, provides a detailed history of nearly every action and change on your website, along with which member performed each. This is useful for determining why a particular outcome occurred, like for instance, why a page went missing or who approved a new member. First, visit the Admin Control Panel and click on the "Activity Log" section. In here, you'll be able to see when an action occurred, what that action was, and which member performed it. You can additionally use the search bar in the upper-right-hand corner to find a specific action in the log.